Collecting paper money is a study rich in history and art. 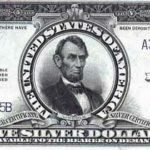 Below is a brief description of the major types of United States paper money that trade in the numismatic marketplace. One can specialize in one or more of these areas depending on budget and interest. Paper money from the Revolutionary period was printed with copper plates and printed on Irish linen. Denominations range from 1/6th dollar to 80 dollars. 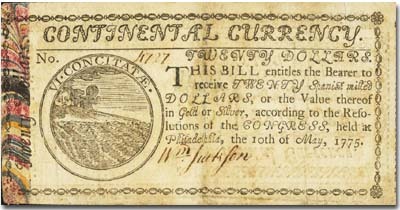 The Continental Congress and the States of Pennsylvania and New Jersey issued the notes. The notes are hand signed in black ink. 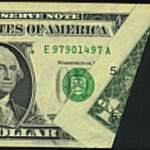 A Continental is approximately 3.7 inches by 2.5 inches though larger notes exist in higher denominations. The notes were printed in black with some issues showing red stamps. There are 20 different design types. 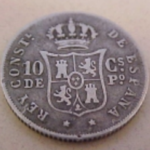 There are also earlier notes issued by the original colonies that date from 1690-1781 but many of these are difficult to locate and expensive when found. 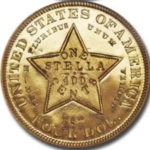 Prior to the Civil War (1861) there was no circulating Federal currency and private and State institutions were established to create liquidity and offer credit. Few rules limited their banking practices and many banks folded taking their depositors money with them. The earliest notes are rather plain but as the need for anti-counterfeiting methods arose, talented artists were employed to create intricate vignettes that were difficult to duplicate. The vignettes are the most attractive to collectors since they show life during the period in which the notes were produced. There are hundreds of scenes, including those representing agriculture, industry and commerce and show sailing ships, farms, antique trains, geography as well as allegorical representations of Faith, Hope, Justice, Liberty and Peace. The notes are often multi-colored and in high grade, are quite beautiful. There are 72 major issues as well as State issues that were redeemable for Confederate Currency. The most valuable are the 1861 issues, especially the $500 and $1000 note. All issues are obtainable for reasonable prices, with the 1864 issues (the last of the Confederacy) being the most readily available. The vignettes show the Southern leaders as well as vignettes of slaves working in the fields, ships and allegorical representations of sea commerce and agriculture. This was the Federal Government’s first experience with circulating currency and originated in its need to finance the Civil War. The first type, Legal Tender notes, were not redeemable for specie and enabled the government to print this type of money as it was needed. 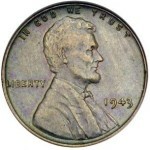 The period after the Civil War saw the return to hard money and the issuance of Silver and gold certificates, and Coin Notes (Treasury Notes) and after 1913, Federal Reserve Notes. When the banks suspended specie payments during the Civil War, the supply of small change disappeared and thus making change for a purchase impossible. The government eventually responded by issuing “fractional” paper money in amounts less than a dollar. There are five issues and include denominations of 3c, 5c, 10c, 15c, 25c and 50c. The notes are under priced in the current market, especially in choice-gem grades. These include silver certificates, legal tender notes (red seals), gold certificates, Federal Reserve Bank Notes (brown seal, series 1929 only), National Bank Notes (brown seal, series 1929 only) and Federal Reserve Notes. These issues have had the most rapid increase in interest in the last few years as collectors have begun to realize the rarity of many of these issues.